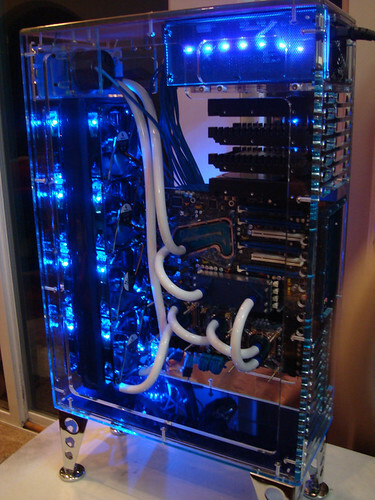 With computer modding there are people that like to build something from scratch or with a computer case. This build is not with a ready made computer case. This why it was possible to mount the computer basic on one side, from bottom to the top. This way the radiator can be placed on the left off it. This 4-fan length radiator bring good cooling capacity.